As the creator of the discount voucher app the Entertainer, Dubai expat Donna Benton is in the business of finding good deals. Consumers in the Gulf flock to her app, which has more than 10 million downloads, hungry for coupons to restaurants, hotels and more. “We’re all about value and experience,” says Benton, who’s from Melbourne, Australia. This year, she scored her biggest deal. 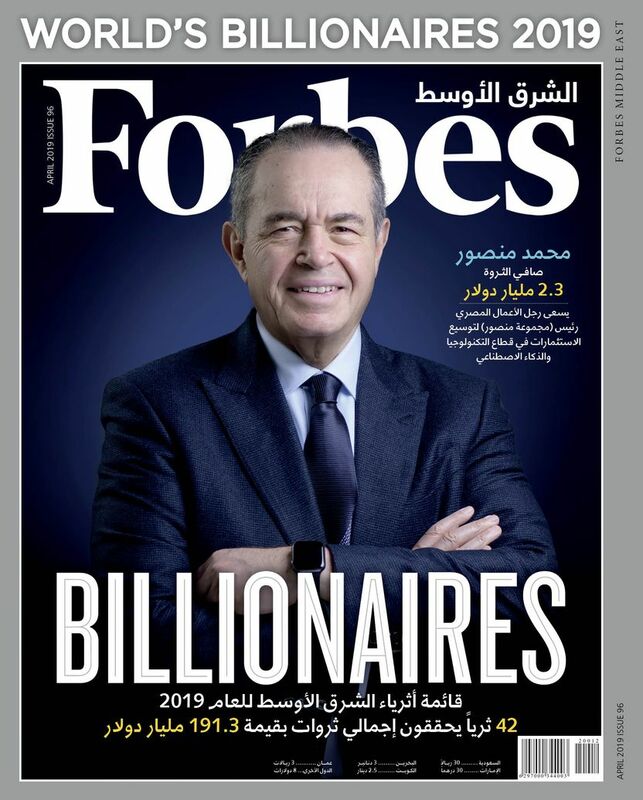 In May, Bahrain-based investment firm GFH Financial Group bought Abraaj’s 50% stake in the Entertainer and an additional 35% from Benton at a $150 million valuation. Then in July, U.A.E.-based conglomerate Al-Futtaim and Al Zarooni Emirates Investments acquired minority stakes in the Entertainer from GFH. Benton retained a 15% stake and her position as chairperson, with day-to-day responsibilities in running the company. “It was a good offer, and I’m still a big part of the Entertainer,” says Benton, who’s 44. The new owners are getting a rising player among global discount apps. “With a strong and profitable business model, advanced digital platform and the successful global expansion currently underway, we see significant room for even greater value creation in the company’s existing markets as well as new locations,” said GFH’s CEO Hisham Al Rayes in a statement announcing the acquisition. 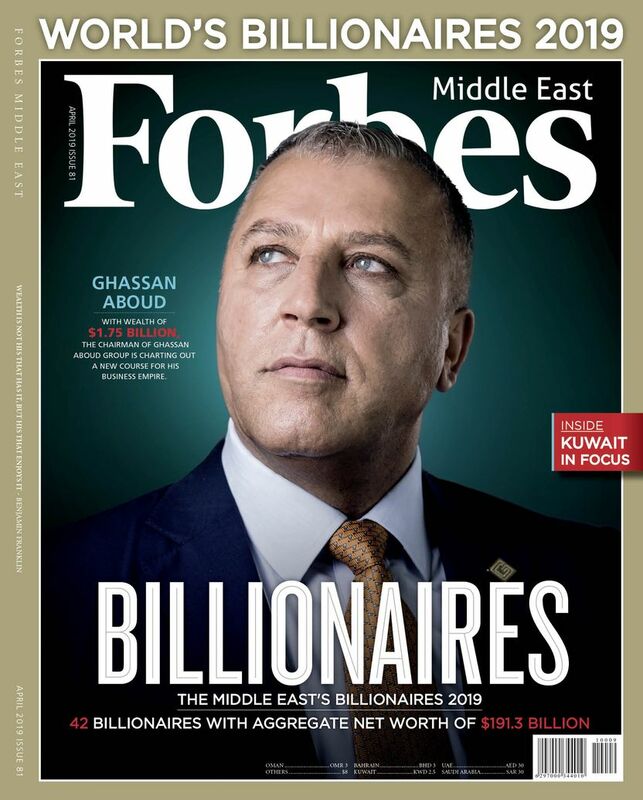 GFH didn’t respond to Forbes Middle East’s requests for comment. Known for buy-one, get-one-free deals, the app allows users to store hundreds of coupons on their smartphone, which they can redeem by showing a waiter or cashier. Benton’s company steers business to more than 10,000 merchant partners, and in return makes money from digital advertising, taking commissions on sales, and running online loyalty programs, among others. The Entertainer is currently available in 15 countries, including Saudi Arabia, Greece, Malaysia and Hong Kong. Users purchase a bundle of coupons based on category and market, such as its Fine Dining 2018 package, which it sells for $135 and includes vouchers for 660 restaurants and bars in Dubai. Its fine dining package from 2017 led to an average of $1,740 in savings per customer. Last year, the company recorded more than $35 million in revenue, with the U.A.E. its most profitable market. Food and beverage vouchers are the main driver of revenues, accounting for 75% of its business. Customers are on pace to redeem 11 million coupons this year, which should amount to aggregate savings between $250 and $300 million. Not bad considering that Benton went digital only five years ago, kicking off the process of retooling the Entertainer as a technology company. It wasn’t until this year that she finally phased out paper coupons completely. “Going digital has really raised the bar for us,” says Benton. Revenues have grown roughly 20% to 25% each year since launching its app, underpinned by a growing network of merchant partners, which facilitated the transfer to digital. It has outpaced local competitors, such as Dubai daily deals site Cobone. At last check, Cobone reported it had sold 4 million vouchers and facilitated total savings of about $300 million in its first seven years. GFH took note, leading to the deal, which came as the troubled private equity firm Abraaj was offloading stakes in a number of companies. The new owners hope to double the Entertainer’s size over the next three years. Benton says she plans to target new markets and potentially pursue acquisitions, while solidifying its grip on markets where it already operates. That includes getting more merchants onboard and adding new product categories. Case in point: it recently added new retail and fitness packages, and is preparing to add new products in the U.K. that are tailored to specific regions, such as Scotland and Wales. “It’s all about making the Entertainer more accessible to more people,” says Benton. She came to Dubai for a job in marketing at age 26, intending to save up some money before returning to Australia after a few years. The job ended up falling through, but Benton thought Dubai could be a good place to start a business. Driving down Sheikh Zayed Road, the sight of all the restaurants lining the busy thoroughfare sparked a thought: there might be a business opportunity in selling vouchers, as many establishments looked largely empty. Coupon books were already popular in other markets, such as Australia and the U.S., but were less common in the U.A.E. Looking to start her own once-a-year coupon book, Benton got friends to invest 120,000 dirhams (about $33,000), which helped pay for a business license and an office in 2001. She pitched her idea to merchants in Dubai, but without an existing book, it proved to be a tough sell. That meant long days spent researching companies and going door-to-door to persuade merchants to offer up vouchers and to pay to advertise their businesses in the book. The Marriott in Deira was the first to sign on. A few retailers, including Spinneys, agreed to distribute the book, but she didn’t have funds to pay for marketing. So, Benton dropped into events around town. “I’d pretty much speak to anyone,” she says. Consumers slowly came around, with many Western expats being early adopters. In year two, the company turned a profit. “I didn’t take a salary for a year and a half,” she says. From Dubai, she spread to the rest of the U.A.E. By 2004, the Entertainer was running a loyalty program for Dubai’s Mashreq Bank, which asked Benton to recreate the scheme at its branch in one of the other Gulf countries. That marked the beginning of the Entertainer’s regional and international expansion. She expanded one country at a time to avoid overextending the business. Signing up merchants in new markets wasn’t too hard; many international restaurant chains are owned by the same company across the GCC, which allowed her to leverage existing relationships. Still, expanding meant hiring local staff, navigating different taxes and getting additional licenses. Suddenly, Benton travelled constantly. The company grew during the global financial crisis, as local consumers became more budget conscious. By 2009, Benton was getting acquisition offers, but she resisted (she bought out her friends after five years, regaining 100% ownership). Digital technologies were starting to eat away at print-based businesses. In 2010, daily deals websites Cobone and GoNabit launched in Dubai. Cobone was backed by Dubai tech investor Jabbar Internet, and within a year it spread to multiple Arab countries, while reporting customer savings of $13 million across a registered user base of 600,000. And in 2011 LivingSocial bought GoNabit (later acquired by Groupon). Benton watched this happening, but didn’t act immediately, because Entertainer’s revenues were not immediately affected. She realized though that prospects for growth were limited if the company didn’t turn digital. “You’re hiding in the cupboard if you’re not realizing that things are going digital,” says Benton, who began planning an app in 2012. At its peak as a print publication, Benton says the Entertainer had about 1 million customers, including the loyalty programs it ran. Her decision to finally go digital attracted Abraaj, which took a 50% stake for an undisclosed amount in 2012 through its subsidiary Riyada Enterprise Development. “They were looking at the print-to-digital transition,” says Benton. It helped that after a decade of running a successful coupon book, Benton already had 3,000 merchant partners, while online competitors in the region had to build their networks from scratch. The investment was a turning point. With Abraaj’s backing, the Entertainer expanded aggressively. It added several Asian countries to the mix, including regional headquarters in Singapore. Crucially, Abraaj advanced its digital push, allowing it to accomplish in three years what should have taken eight, says Benton. Within six months of launching, the Entertainer’s app had 200,000 downloads. Meanwhile, Cobone cycled through multiple owners, getting acquired by Tiger Global and then later by ME Digital Group. It’s still around today, but only in the U.A.E. and Saudi Arabia. Global competitor Groupon launched in the U.A.E. in 2011, but never expanded in the region outside of the U.A.E. Yet, making the leap from print publisher to technology company brought new challenges. Operating costs increased, with digital requiring $10 million per year to run—in part because she now maintains a large in-house development team in Lahore. As a print publication, the Entertainer could only add new vouchers once a year—when it released the book. Now, it can sign a new merchant and add offers to its app in two days. That’s allowed it to bring on more companies, while being more selective about which brands they work with. It’s also reaping the benefits of data collection. The Entertainer says it doesn’t sell data, instead using it to better understand user behavior. That allows it to offer more personalized services, such as sending users new offers based on their past voucher history. All told, it’s a place Benton never expected to be. Looking back, she initially hoped to sell the company for a million dirhams after a couple years—enough money to return to Australia and put a deposit on a house. Now, she’s settling in under new owners. “They’re really supportive; they’ve got some great ideas that will work well together,” says Benton. Time will tell if GFH got a discount.